Guilin , located in Guangxi Province, on the edge of the famous Li River is considered the most beautiful city in China . The many Karstic hills of the region create magical landscapes and make Guilin a must in the middle empire and circuit in China. This guide explains how to visit the Guilin region and its enchanting landscapes, to enjoy your stay on the Li River. 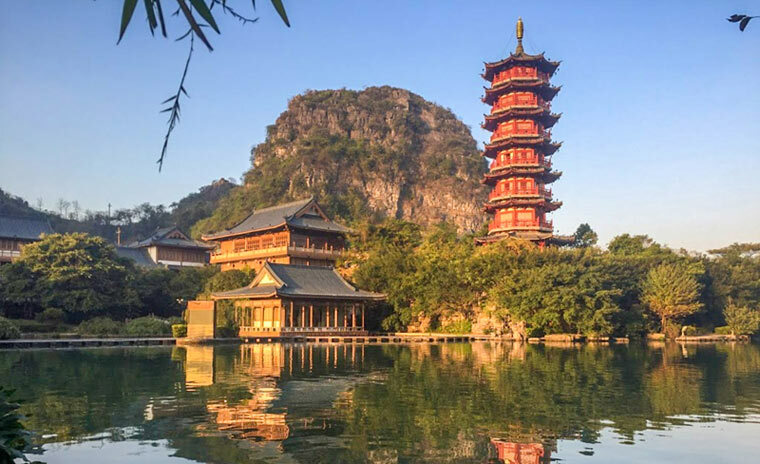 So what to see and do in Guilin? What are the places of interest ? Also find the list of our best accommodations. When visiting the Guilin area , I recommend you spend at least a day (half a day can be enough if you walk fast!) 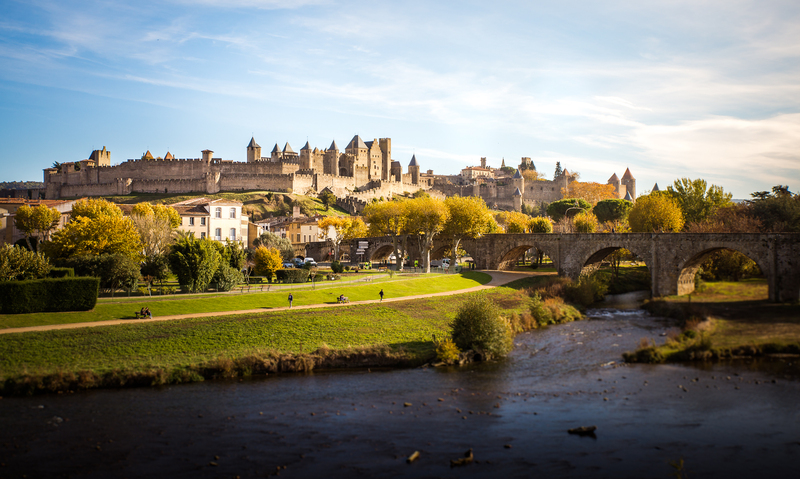 To the city itself, which will allow you to discover the area of 2 rivers and 4 lakes . The 2 rivers refer to the 2 rivers that cross the city: the Li River and the Peach Blossom River (peach blossom) and the 4 Lakes: Chinese Fir Lake (Shan Hu), Banyan Lake (Rong Hu), Osmanthus Lake (Gui Hu) and Wooden Dragon Lake (Mulong Hu). 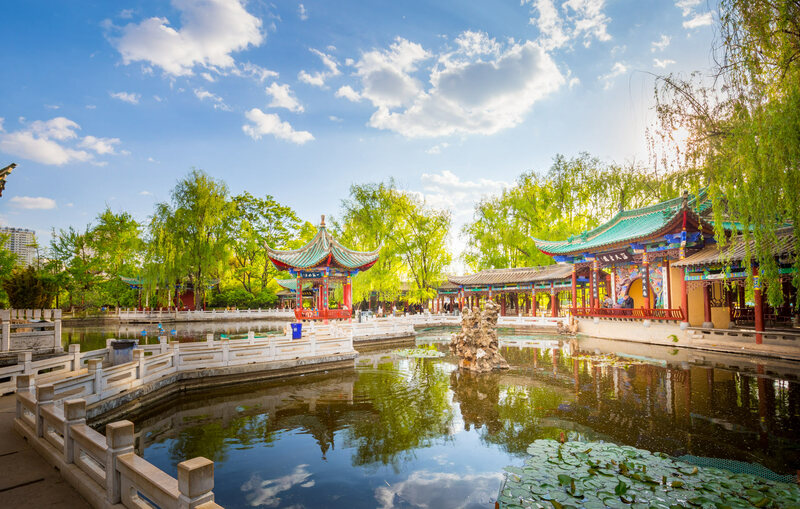 The main places of interest in the area are the pagoda of the moon and sun in Fir Lake, as well as Banyan Lake Park , with its many bridges and pavilions of classical Chinese architecture. The 2 are located next door, and this is the visit that I suggest if you have a half day in Guilin. 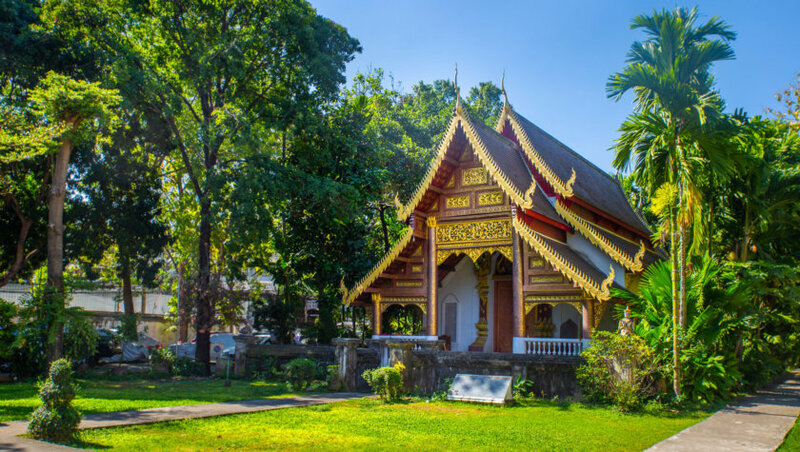 The other nice and less known place is Mulong Hu , where you will also find a beautiful pagoda , less known than the other 2, but not less pretty! It is also possible to make a small cruise of 1:30 on the river to discover the city ​​of Guilin otherwise. If you choose to do so, I advise you to choose one at night! As the Reed Flute cave is not very far from the city center (6km), it is possible for example to visit it in the morning and book the afternoon to visit Guilin, including I spoke above. Do not expect to play budding speleologists: the Roseau Flute Cave has been landscaped and illuminated, but the rock formations remain truly impressive and are, in the end, well developed. The highlight of the visit is the “Crystal Palace of the Dragon King” , a huge room with an expanse of water reflecting the rock formations of the ceiling, all very well highlighted by the lighting. 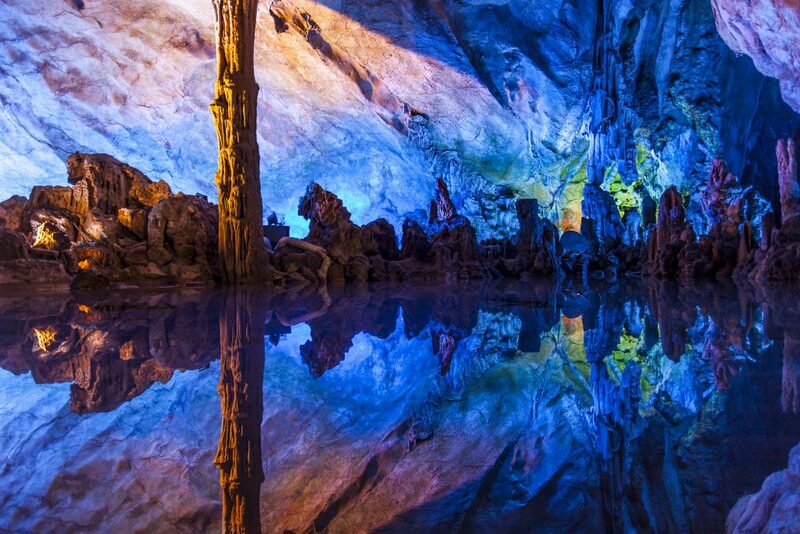 It’s definitely a must-see place in Guilin! This type of development in the caves is quite common in China, there are many of the same style scattered throughout the territory, Chinese tourists love it! By boat, most cruises depart from Zhujian Pier or Mopanshan pier , about 30km south of Gulin and go to Yangshuo . This route lasts approximately 5 hours for 83 kilometers. Bamboo raft , small wooden boat for 4 people, the most famous section is the one between Yangdi and the village of Xingping . It lasts about 90 minutes. If you have time in front of you and you are not allergic to the world, it is best to choose the big boat cruiseto Yangshuo . 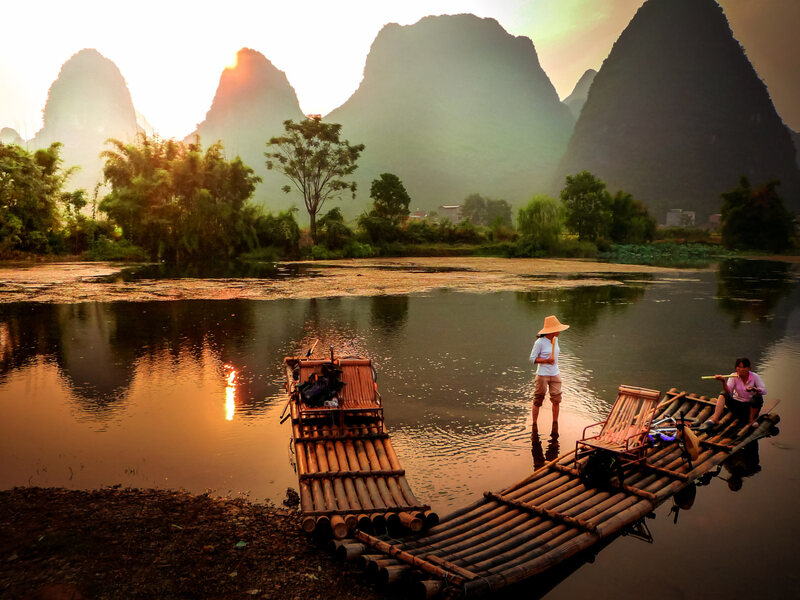 Then, close to Yangshuo, you can bamboo raft on the Yulong River , which also offers beautiful scenery! Yangshuo is the city of mass tourism of the region. I do not recommend sleeping in the city itself (I talk about it below in “Where to sleep in Yangshuo”), but if you are not allergic to the world, go for a walk on West Street , the shopping street of the city. You will find shops, restaurants and good street food! 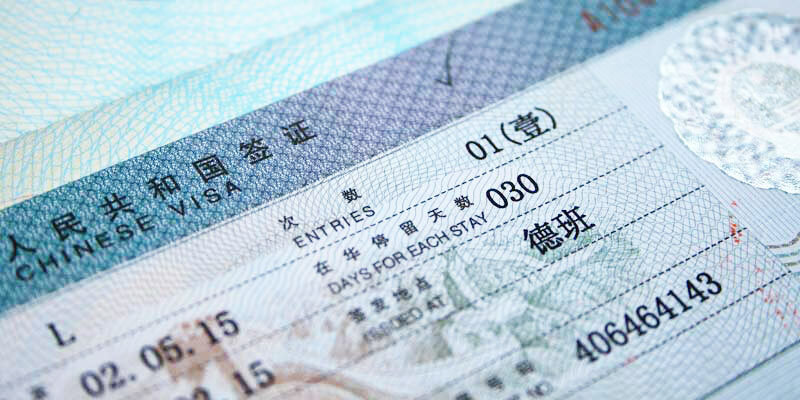 If you want to buy souvenirs, compare prices, and especially bargain, it is a very common practice in China. 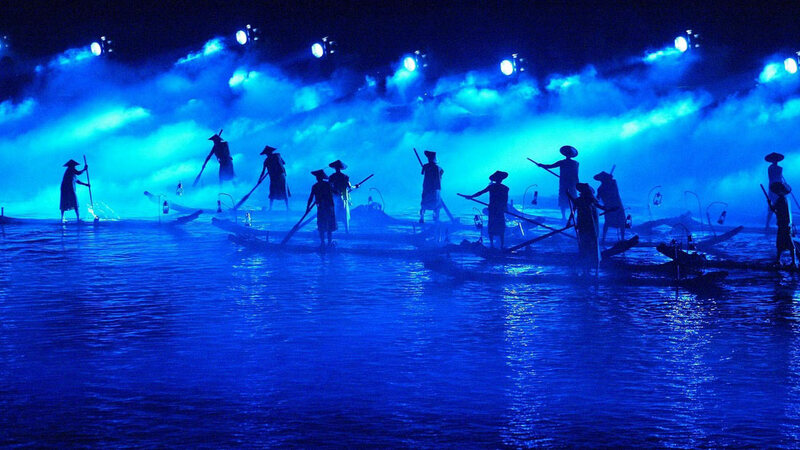 In the evening, you should attend the sound and light show Impression Liu Sanjie , directed by filmmaker Zhang Yimou (he was busy, among other things, the opening ceremony of the Beijing Games , in 2008)which takes place on the Li River. It is a bit expensive (between 200 and 700 rmb (between 30 and 100 euros) depending on the category of seat), but this great show that brings together more than 600 extras for over an hour is well worth it! There are 2 performances per night. A good complement or alternative to the Li River cruise is to do bamboo rafting on the Yulong River . The landscapes are just as beautiful, but there are many less and the activity lasts about 1h30. If you do not have too much time, this is the ideal option! Of course, if you like the region, nothing prevents you from doing both! The moon’s hill is, with Xingping’s 20 yuan banknote and the panorama from Xianggong hill, one of the most emblematic views of the region. 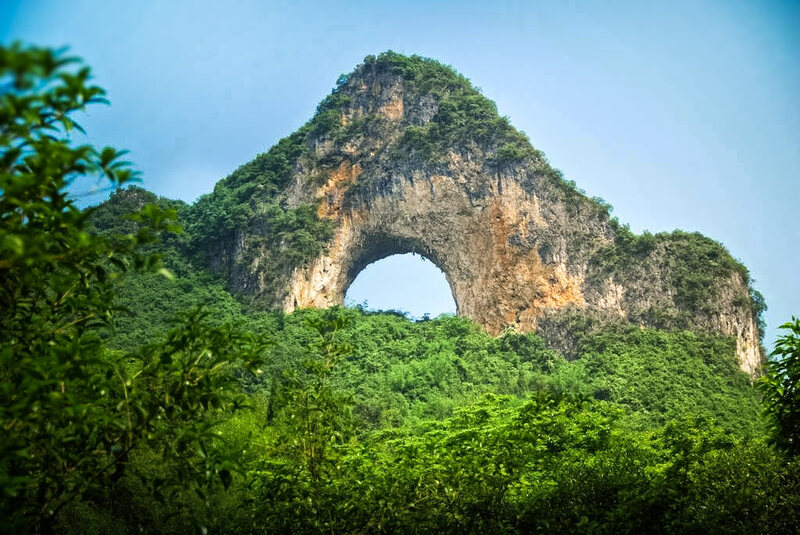 This arch of rock that dominates the landscape is impressive from a distance, but the climb of some 800 steps to reach its summit and have a panoramic view of the karst formations of the region is equally great! 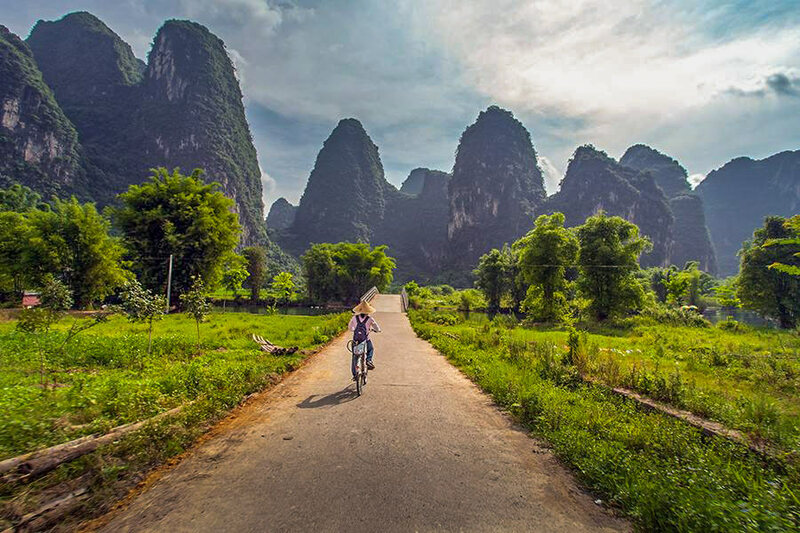 A great way to explore the countryside around Yangshuo is to cycle along the Yulong River . This is the path that offers the most beautiful panoramas! 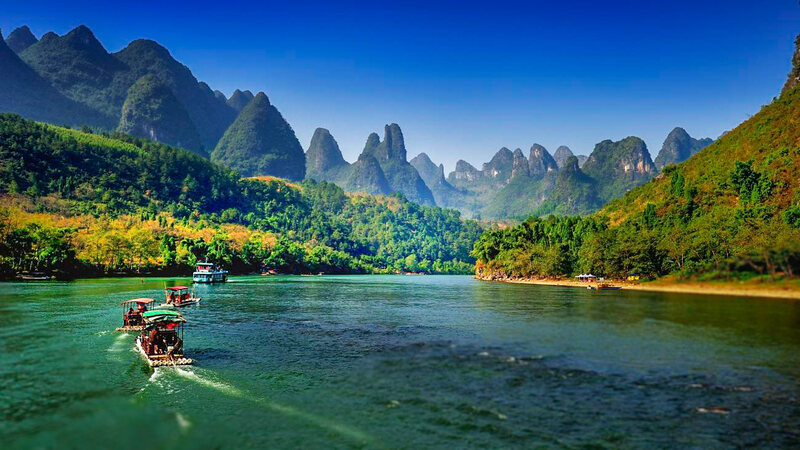 During your stay in Guilin, it is possible to group the bike ride, the bamboo raft on the Yulong River and the visit of the moon hill on the same day. 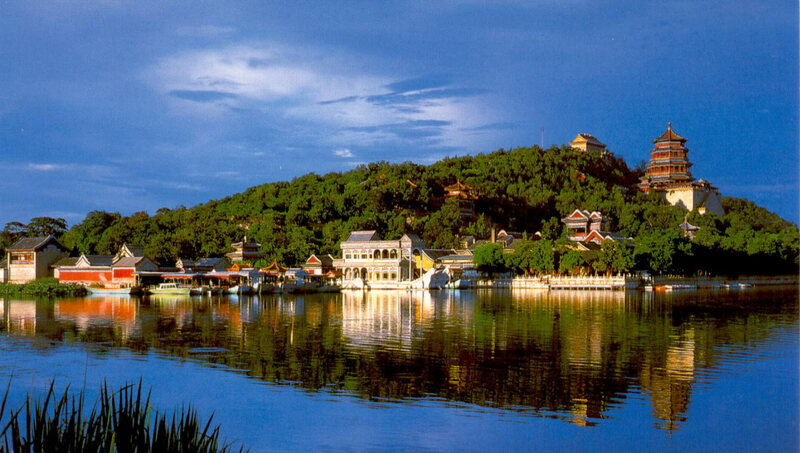 Of the many points of view along the river, Xianggong Hill is certainly the most beautiful and the most impressive . It is therefore very popular with photographers! Located about thirty miles north of Yangshuo and 200m above the valley, on the east bank of the Li River, Xianggong Hill will reward those who climb the steps to its summit with a magnificent view of the surrounding landscape! This is the perfect place to see the sunrise. (Ex) Small village booming tourism, Xingping remains the most authentic place in comparison with Guilinand Yangshuo . I advise you to spend at least one night, so you can enjoy. Stroll along the docks, enjoy the market, take a stroll through the old city before heading to the must-see Xingping site: the 20 yuan banknote viewpoint: “20 yuan banknote”. As its name suggests, it is the panorama with the 3 hills and the river that is engraved on the 20 yuan banknotes. A tip: Go ahead (or go back!) For the sunset! 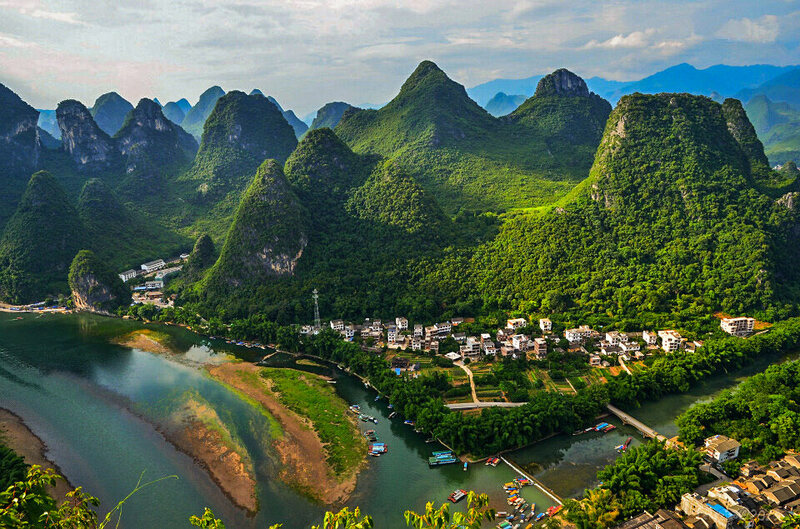 Located in Xingping, Laozhai Hill (Laozhai Hill) offers a magnificent view of the Li River. 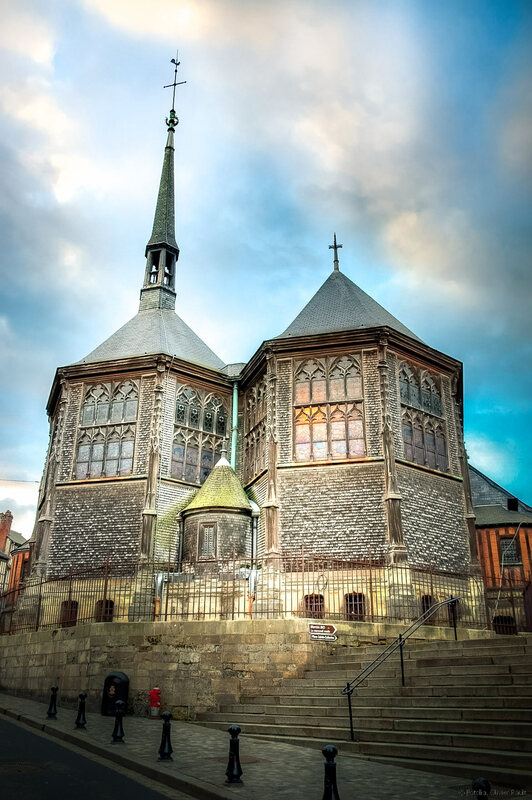 Book for people in good physical condition because the climb is quite steep, even if short! (45 minutes – 1 hour) Tip: Get up early, get a flashlight and be up there to enjoy the sunrise! In China, you have 2 places with extremely famous rice terraces: those of Yuanyang, in southern Yunnan , and those of Longji and Jinkeng (also called Longshen rice paddies , the name of the district in which they are located), 100km north of Guilin city . From Guilin, you will go between 1h30 and 2h to reach the rice fields. To get there, you have 2 options: Go to Ping’An , the most tourist village in the area or Dazhai , see Tiantouzhai, small villages less known . Ping’An corresponds to the rice fields of Longji and Dazhai in the rice fields of Jinkeng. Rice paddies stretches over 800m of elevation difference, between 300 and 1100m above sea level, and it is possible to hike in the rice fields between the villages of Ping’An and Dazhai . Count around 5 hours of walk, take your time and enjoy the beautiful landscapes available to you! The tour is a day trip from Guilin , but I recommend you stay at least one night, and enjoy the next day to visit the 8 villages of Chengyang and its famous wind and rain bridge. 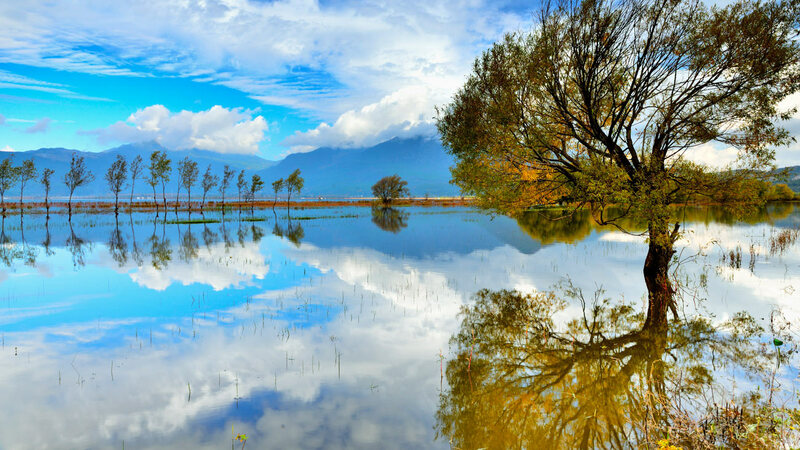 After visiting the rice fields, do not miss the visit of the 8 villages of Chenyang, which are the perfect example of a rural and authentic China. The hike will take you from one village to another through bridges and rice paddies, with, as a highlight, the bridge of wind and rain. 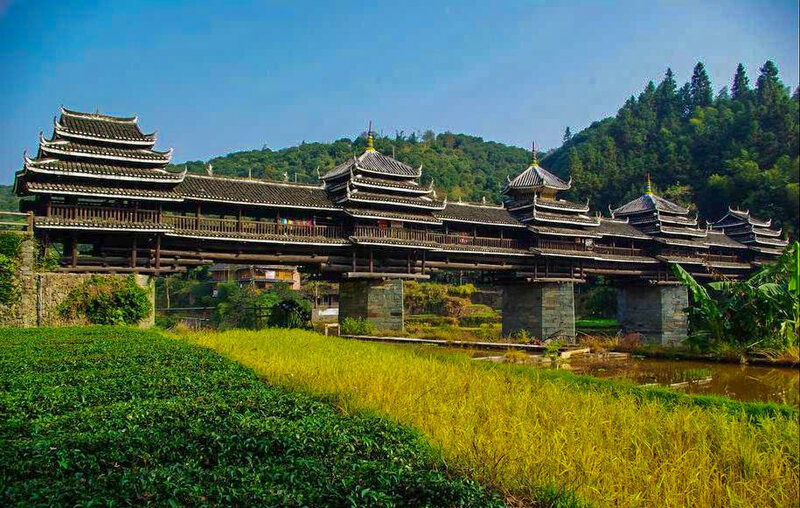 This 64 meter long structure was built over the Linxi River by the Dong ethnic group in the early 20th century. The 8 villages you will cross are: Ma’an, Pingzhai, Yanzhai, Chengyang-Dazhai, Pingpu, Pingtan, Jichang and Guandong. Sky Palace Hostel : Nice 3 * hotel located on the banks of the Li River, near the area of ​​2 rivers and 4 lakes which is accessible by foot. The view from the roof terrace over the city is breathtaking! Bed in dormitory from 6 euros and double room from 24 euros per night. Aroma Tea House : This 5 * hotel is conveniently located on the edge of Banyan Lake, and offers lake view rooms. This is my favorite in Guilin for its unbeatable price / performance ratio: night in a double room from 55 euros! For Yangshuo, I absolutely recommend sleeping outside the city. There are very good hotels in 15 or 20 minutes by bike, or you will be really quiet! All the hotels that I propose to you are ideally placed : close to the moon hill and the pier to make Bamboo raft on the Yulong river. Pure Joy Resort : My choice for a budget trip to Yangshuo! It’s not fancy, but the rooms and bathrooms are very clean and the staff is lovely. Double room from 22 euros per night. Indape Hotel : This 4 * Hotel is located about 4km from Yangshuo City. It was a big blow during my stay in Yangshuo for the setting and the calm that reigns there! 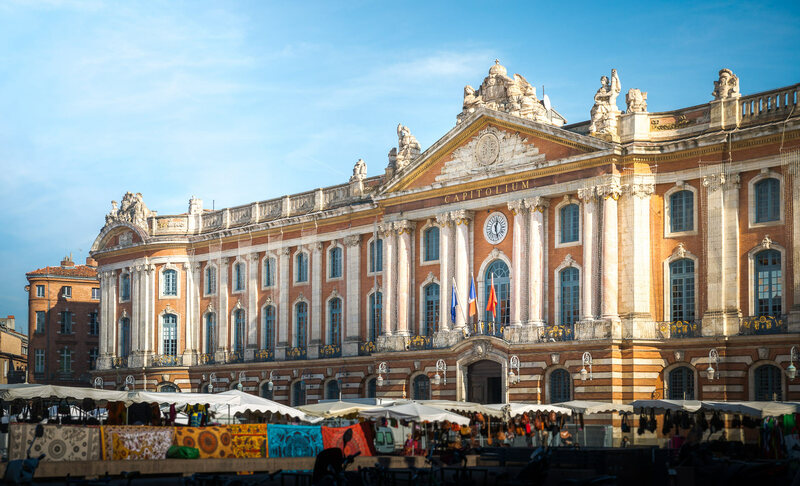 Overnight stay in a double room from 85 euros. This Old Place Youth Hostel International : The best hostel in Xingping, just across the river with a beautiful rooftop terrace. The point of view of the “20 yuan banknote” is about 15 minutes walk. Yangshuo Xingping Island Resort : Located a little away from the village, it’s my choice for a more upscale stay in Xingping! Night in a double room from 65 euros. And you, what did you plan to visit in Guilin?